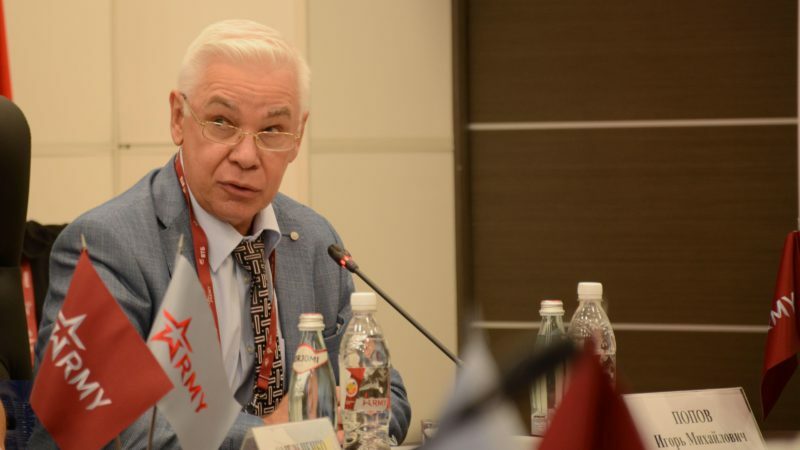 “Russia is entering a new cold war,” Igor Popov, an expert of the Advisory Council to the Military-Industrial Commission of the Russian Federation, said on August 23. This statement was made during the roundtable discussion on “Strategic stability in the multipolar world and destabilizing factors”, organized within the framework of the “Army-2017“ International Military-Technical Forum, Rosa Primavera News Agency reports. “The world is entering a new phase. There was a cold war, which ended. The West takes for granted that it won this cold war. For a long time, the West has waited for the Russian Federation to acknowledge itself as defeated. Russia did not agree with this point of view, and it did not recognize itself as the defeated party in the cold war. There was a stage of uncertainty right after 1991, and there was an attempt to put everything in its place… Now we are being pulled into a new cold war, Cold War 2.0,” said the expert. He also added that together with nuclear weapons and their delivery systems, strategic stability today includes many new elements, such as information security, weapons based on new physical principles, missile defense, precision weapons, robotic platforms, and other systems. Thus, there are many more factors affecting this stability. And even access to nuclear weapons is no longer a privilege of leading countries, since even small countries and actors possess a wide range of technological prerogatives. On August 23, the roundtable on “Strategic stability in the multipolar world and destabilizing factors” took place as part of the second day of the “Army-2017” international military forum. The event was organized by the Central Scientific Research Institute for Air and Space Defense Troops, supported by the Russian Defence Ministry. Leading experts from the Advisory Council to the Military-Industrial Commission of the Russian Federation, the Central Scientific Research Institute for Air and Space Defense Troops of the Russia Defence Ministry, the General Staff Academy of the Russian Federation Armed Forces, JSC NPO Almaz, a military enterprise, will participate in roundtable discussions. This entry was posted in News from Russia and tagged Classical War, Cold War II, Igor Popov, Russia. Bookmark the permalink.